Asbestos poses severe health risks especially if disturbed and will require professional removal before these risks escalate. With the numerous asbestos removal companies in Colorado, you should take your time to vet the company them. 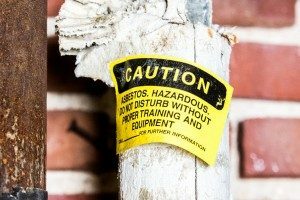 While the duration an asbestos removal company has been in business can tell a story about their experience, it doesn’t necessarily mean they’re the best. You could ask your friends and family members for recommendations. Check the company’s social media accounts, website and business directories for customer reviews. Ask the company for references to confirm that indeed they walk the talk. Although the US is yet to ban asbestos, they pose grave health risks such as lung cancer, mesothelioma cancer, pleural plaques, and asbestosis. Given such health risks, asbestos materials need careful handling. So make sure your company has the right equipment such as decontamination enclosure systems, plastic sheeting, and HEPA filter. With the proper safety asbestos handling equipment, you can be guaranteed of better efficiency at work. Consequently, the staff will remove most of the asbestos leaving behind no traces of health hazards. Professional asbestos removal companies are certified and licensed to test, remove and dispose of asbestos. They’re accredited and run legal businesses within the confines of the law. urance, and one of the employees happens to suffer an injury in your property, under the law, you might be held liable. Asbestos materials are a health hazard. In the light of this, the professionals involved in the removal of asbestos should have undergone sufficient training before they’re licensed and allowed to operate legally. Besides, experienced professionals have been in the industry and have a good understanding of the industry. Asbestos removal starts with an inspection after which samples are taken to the laboratory for analysis to establish the magnitude of the problem. The United States Environmental Protection Agency (EPA) warns that the asbestos material is more hazardous when the sampling is done incorrectly than when it’s left undisturbed. So, forget the idea of sampling the material yourself and hire a professional asbestos removal company like RDS Environmental. Upon the removal, experts will perform final checks to make sure the cleaning is thorough. Before you can settle for any asbestos removal company, seek to know the structure of their work plan. Their asbestos material removal, handling, and disposal should be strictly in compliance with the federal, state and local regulations. The disposable materials used on the job site should be sealed, leak-proof and labeled appropriately. Even more, they should leave the site clean and free of dust and debris. After that, the company should arrange for the transportation of the asbestos material even if it’s still wet to the qualified disposal landfills. The disposal areas have to meet the requirements of securing waste and prevent the escape of asbestos fibers. RDS Environmental is a family-owned and operated Colorado company in business for over 40 years. For professional asbestos testing, call 303-444-5253.